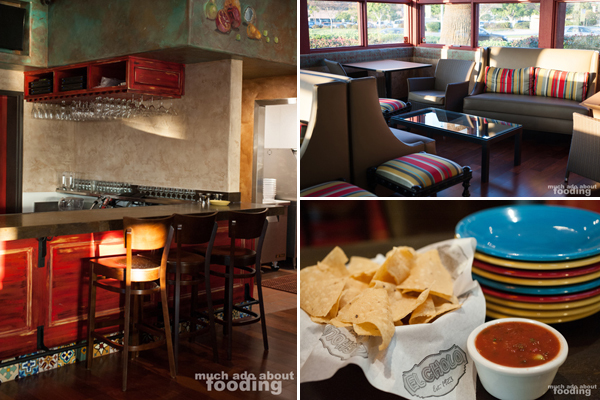 The sixth location in a line of beloved restaurants, El Cholo in Anaheim Hills is opening tomorrow! 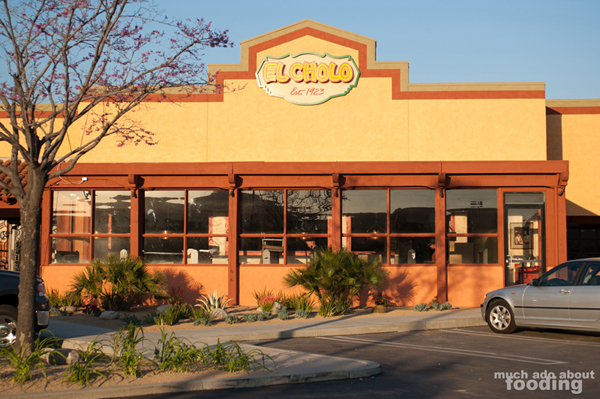 The original El Cholo has been established in Los Angeles since 1923 (a 90th anniversary comes up in the fall! 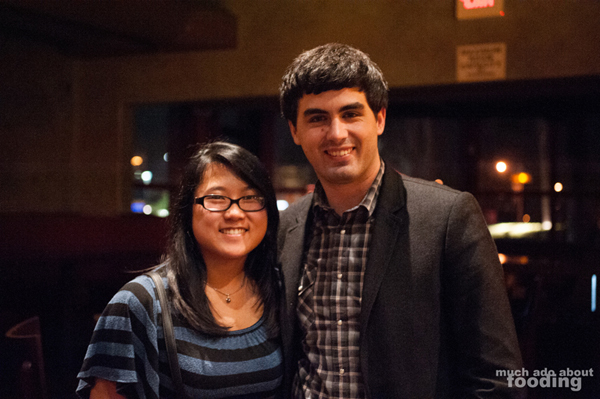 ), and overall the restaurant has down well by opening up other locations around the southern California area. You might have seen one in Downtown Los Angeles, La Habra, Irvine, or even Santa Monica if not the original in Los Angeles itself. 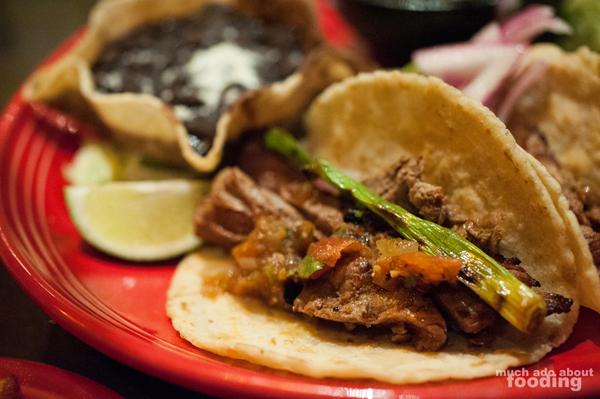 Well add Anaheim Hills to your list for this family-run Mexican restaurant that is cooking up long-time recipes and filling our bellies with authenticity. Duc and I were lucky enough to be invited for a sneak peek into this sixth located slated to open March 18th (tomorrow). The sounds of carpentry and finishing touches around us didn't deter from the mood that it looks like El Cholo is trying to set. 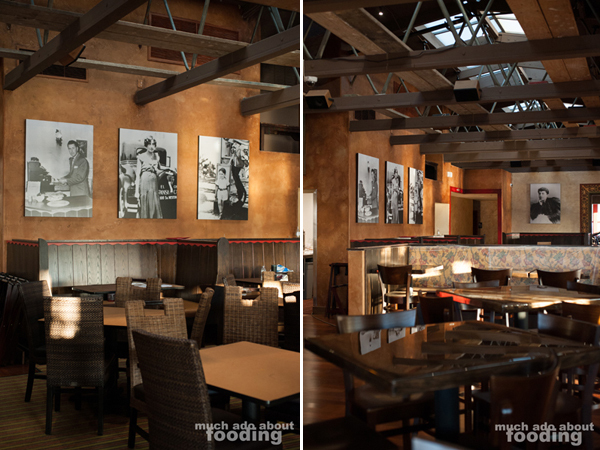 Not only will plenty of the same style and atmosphere be replicated here (after all, they have been working with the same designers/contractors for many years), the food will be the same as you may know and love with the recent announcement of Chef Felix Salcedo as the executive brand-wide chef of El Cholo. 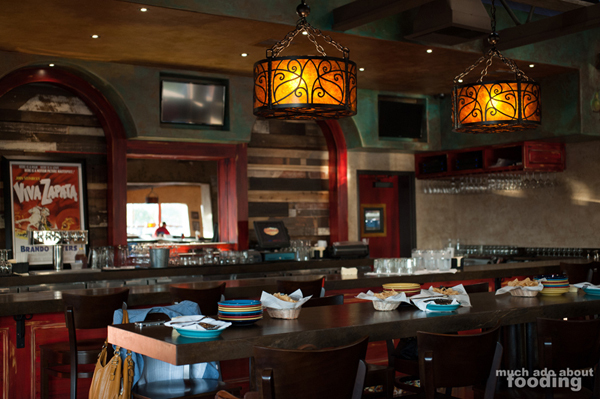 This new El Cholo has color in all the right places and even features an indoor patio dining area that will allow for guests to hang out for casual eating. At 8,500 square feet of space, you could certainly fill it to its brim of 425 people! I particularly liked the high-vaulted skylights in the main dining area and the heavy use of wood. The dinnerware was also a beautiful and friendly array of bright colors. 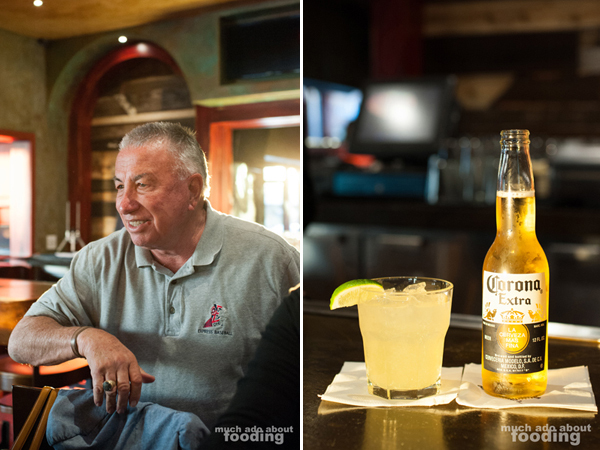 We got to meet Ron Salisbury himself, the main owner of the Salisbury Family restaurant business (RBI Inc.) which not only includes the El Cholo restaurants but also popular eateries like The Cannery in Newport Beach and The Cat & The Custard in La Habra. 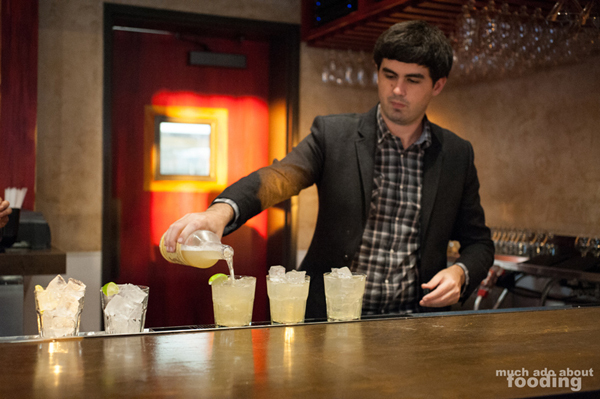 As we waited around for our food tastings, we were treated to a choice of either their LA Lemonade or famous Margarita. Being that there were two of us from MAAF there, we tried both and they were delicious! The LA Lemonade definitely could pass off as an adult lemonade of sorts and the margarita, though presented a tad differently than expected, was just the right amount of lip-smacking sugary/salty goodness. 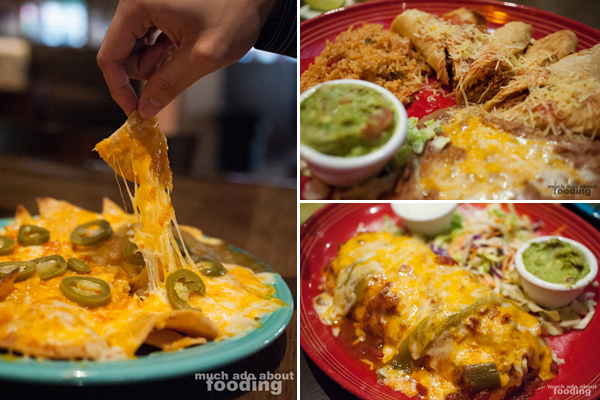 Our staters of their Carmen's Original Nachos (1959 - with aged Cheddar), Chicken Chimichangas (1967 - housemade tortillas), and the Burrito Dorado (1977 - with chili con carne, aged Cheddar, and a simmered tomato sauce) came out and wowed us in their sizes and smells. Super cheesy and super filling - it was hard to believe more was going to come out! Duc particularly liked the chimichangas which I'm guessing is attributed to their fried nature. I found the burrito quite juicy and tasty. 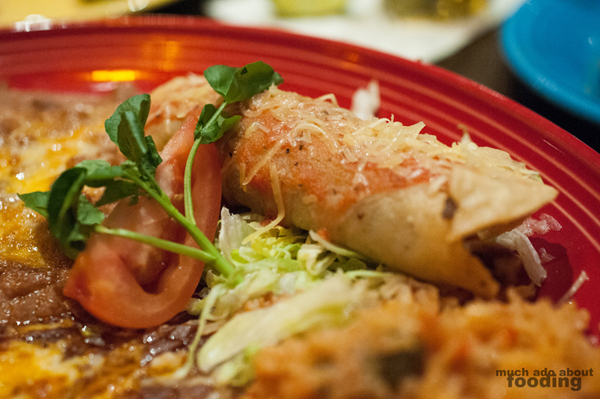 Next up was their most ordered plate - the Combo #1 - which is comprised of a cheese enchilada and rolled beef taco. 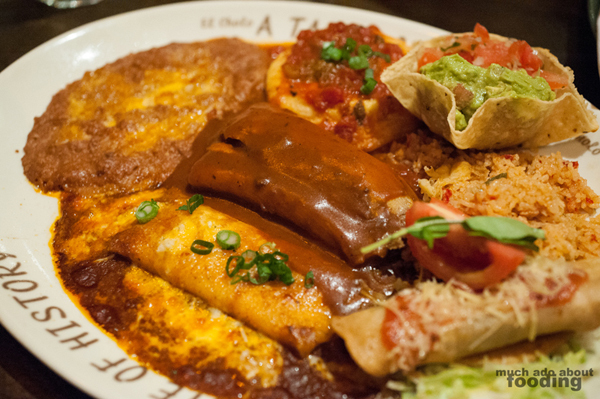 We also got their A Taste of History plate, an impressive array of their Black Creek Cheddar Cheese Enchilada, Rolled Beef Taco, Chile Relleno & Roasted Pork Tamale. I particularly found the tamale to be the best one on that assorted plate because its texture overall. For under $15, this is definitely a great plate to try if you want a little bit of everything. 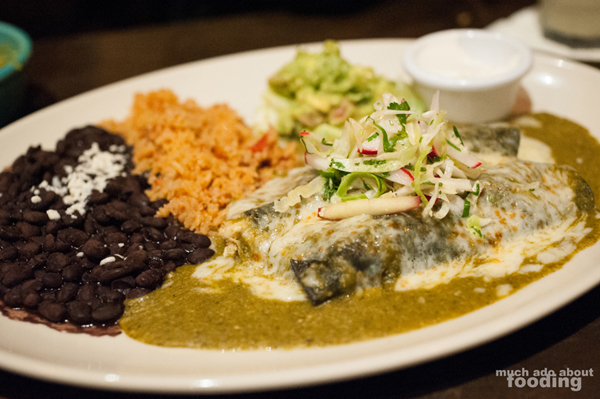 One of my favorites for the night though were the Blue Corn Enchiladas (1986 - marinated chicken breast in an enchilada wrapped in blue corn tortillas; all in tomatillo sauce and with sour cream & avocado garnish). The marinade in the chicken lent to its flavorful and juicy taste while the blue corn tortillas gave a playful look to the eyes and corn-y taste to the mouth. For all the dishes with beans and rice, bravo on making them perfect. I love Spanish rice a lot and could not keep away from theirs. Additionally, all of the guacamole came out "Molcajete Style." Despite feeling like we could eat no more, we were still being served! What I really did enjoy was an off-menu item that can easily be made if asked (ask for it! you'll like it!) - their Southwest Chicken Salad. 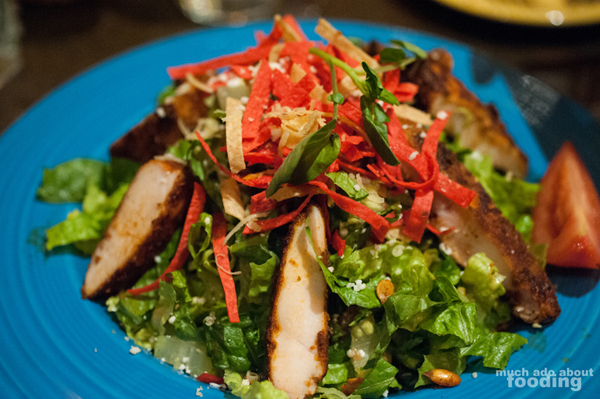 With a rolling kick in the mouth from the spicy grilled chicken pieces, this salad is light and refreshing having been dressed with a lime-cilantro concoction. Tortilla strips also give a needed salt crunch to the meal that the Romaine lettuce won't necessarily do. I'd definitely order something like this. 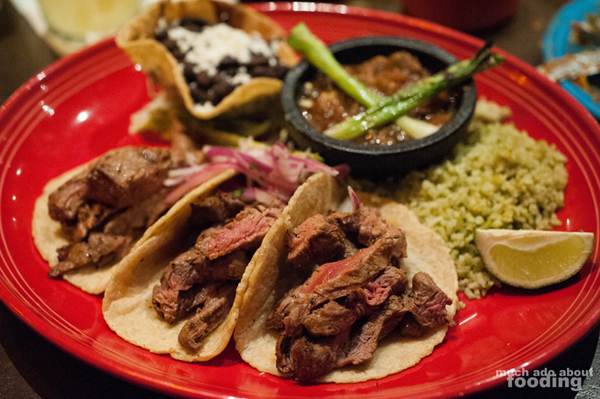 I'd also give their Filet Tacos (three handmade corn tortillas with Molcajete Salsa, Cilantro Rice and Black Beans) another try because the meat was perfectly tender and matched well with the accompaniments. The cilantro rice had a pleasant subtle taste of the contentious green spring, and the salsa gave the filet on top of the freshly made corn tortillas a good tang and kick. The whole table really liked these. 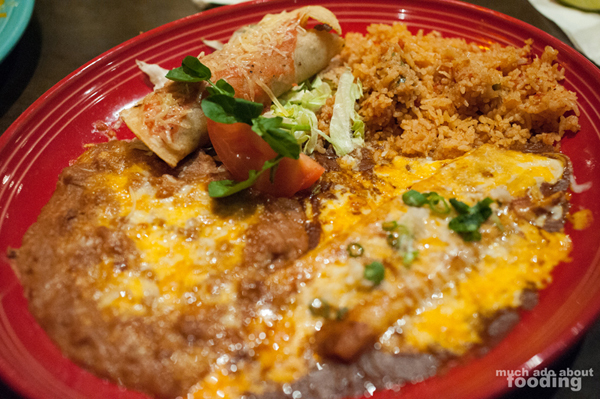 If you want to see more of the menu and even prices, check El Cholo out by clicking here. So at the end of it all, we had the opportunity to personally thank our chefs for the evening, two of whom are the restaurant-wide chefs that travel from location to location and another who is just the chef on the premises. I also briefly met current CEO of RBI, Brendon Salisbury, a fourth generation man of the Salisbury Family who oversees all the restaurants. 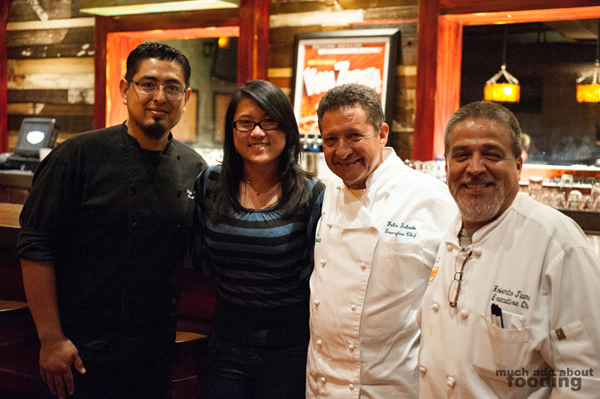 Thank you to everyone at El Cholo who had us and to the ladies at JPR for the invitation. If you're curious on popping into this El Cholo, it is located at East Santa Ana Canyon Road, Anaheim Hills, CA 92808 and will open for business tomorrow! Photography by Duc Duong and Minerva Thai. More photos are available on Facebook.